Seacoast Stone specializes in the fabrication and installation of marble, quartz, engineered and granite countertops for kitchens and bathrooms, fireplaces and custom stone work. 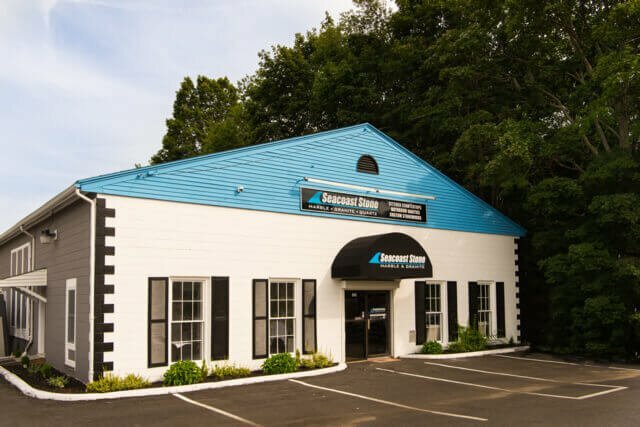 Whether you have a small project renovation or complicated commercial space, Seacoast Stone can skillfully manage your stonework needs from beginning to end. We’re different than most companies in the best ways possible. Our design showroom has one of the area’s largest selection of granite, marble, quartz and soapstone. We use our own dedicated staff to fabricate, install and quality check each and every project. Our specialties include one-of-a-kind, custom creations that offer a distinctive look for your home. For more information on our services for your home or business, please contact us today at (603) 379-9133.